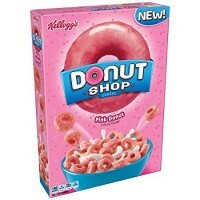 Relive those family breakfasts at the local java joint with Kellogg’s Donut Shop Pink Donut Cereal. This classically-inspired breakfast cereal features light and crispy donut rings with a whimsical pink color and a lightly-sweet flavor. Enjoy yours over milk and a big, steaming cup of coffee for the perfect all-American breakfast! Degerminated yellow corn meal, sugar, whole oat flour, fructose, soybean and palm oils, 2% or less of: salt, nonfat milk, whey, natural and artificial flavors, soy lecithin E322, color E129*, antioxidant E321 to preserve freshness, wheat flour, vitamins and minerals: vitamins C-B3-B6-B2-A-B1-B9-B12-D3, reduced iron, zinc oxide. *May have an adverse effect on activity and attention in children. Contains GMO. Nutrition facts (for 100g): calories 438Kcal, total fat 9.4g (saturated fat 34.4g), total carbohydrate 78.1g (sugar 34.4g), protein 6.3g, salt 1.3g. Son cereales para tomar con leche templada-fria. Es la única manera de notar todo el sabor. Y lo mejor es tomarlos solos sin mezclar con otros cereales. El sabor es como comerte un donuts rosa de verdad. Me encantan. aunqueno reconozco el sabor a donut, estan buenos y dulces. Y eso que los rebajados llegan caducados. 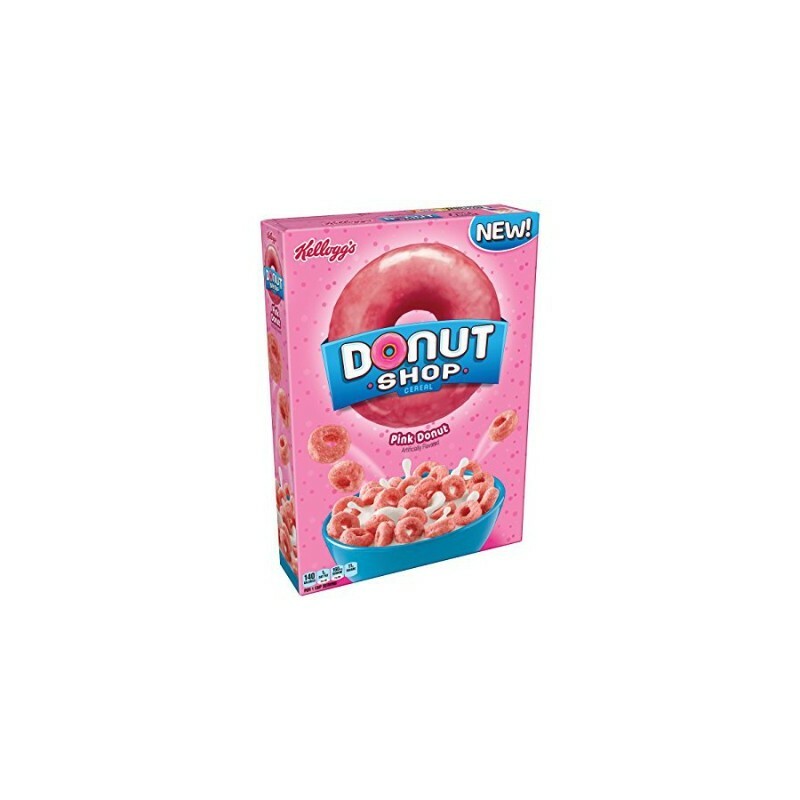 Il n'y rien de donuts dans ce cereale, sinon la forme. Le gout de vanille est tres faible. Beaucoup de calories pour peu de gout.